While romance can be found anywhere, every inch of this island is geared to push you and your lover closer together, to create memories that will last a lifetime and to create a new foundation for your relationship. Children and day-trippers are not permitted on this island, ensuring that you are surrounded with a serenity that will melt the outside world away. Fijian cooking lessons and snorkeling trips through breathtaking reef formations teeming with marine life will create stories you’ll tell for decades to come. 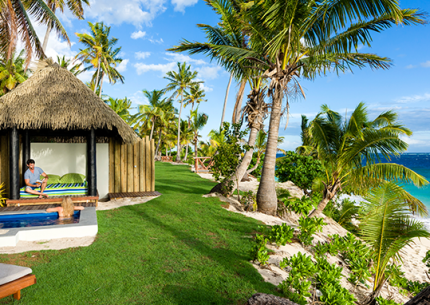 You’ll share laughs and create fond memories as you partake in a myriad of activities such as basket weaving, coconut bowling, canoeing, and lessons in the Fijian language. 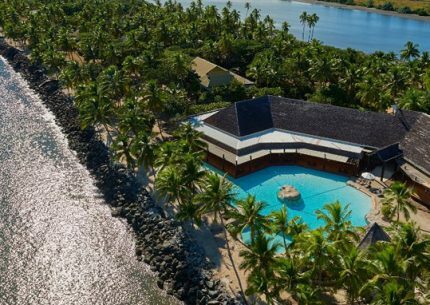 On this Fiji private island honeymoon, you won’t see drunken teenagers or high-rise hotels. 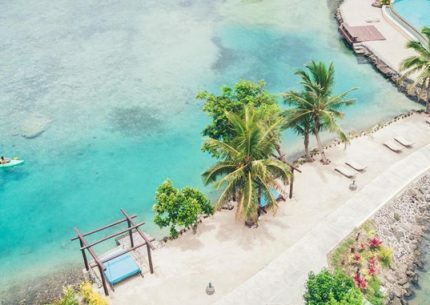 Instead, you’ll be nestled in a utopia comprised of sparkling waters, white sand beaches, overwater massages, gourmet meals, and your lover’s warm embrace. Honeymoon and Anniversary Bonus – A Bottle of Sparkling Wine, Tropical Fruit Platter, and Hand Carved Wooden Plaque (Request at time of booking). 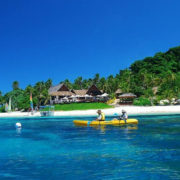 Fiji private island itinerary is flexible and can be tailored to suit your needs. Today you’ll depart on a vacation you’ll remember for the rest of your life! 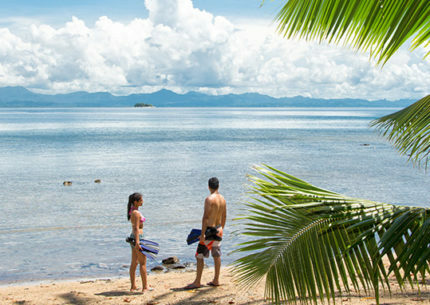 Book your own flights, or ask your Fiji Destination Specialist to find the best deal. We partner with airline like, Fiji Airways to bring our clients the best rates and best experience. 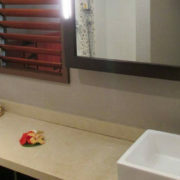 You’ll board your long-haul plane in San Francisco or LA in the evening and wake up in Fiji! Crossing the international date lines means you’ll lose a day, but you’ll gain it back on your way home. 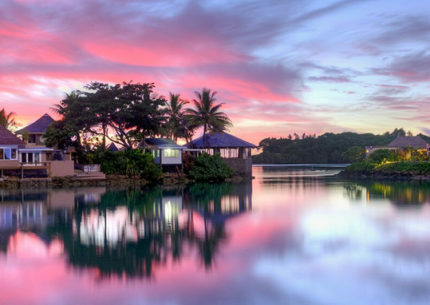 After a scenic shuttle from Nadi to Port Denarau, you’ll take a boat ride through the surreal waters of Fiji to your resort on Matamanoa Island. Want to start your vacation sooner? Ask about the Helicopter transfer! 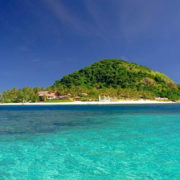 An island void of children, crowds, and noise (save for the waves soaking into the sand), Matamanoa is the home of serenity like you’ve never known it before. 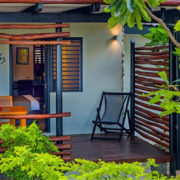 Your super king bed sits in front of a hand-carved mahogany headboard and your personal verandah opens up to the lush rainforest gardens of Fiji. 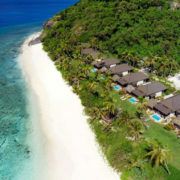 The secluded, white sand beaches right outside your door are highlighted by colossal rocks and a sparkling blue horizon that is polka-dotted with a gorgeous island chain. Challenge your lover to a game of tennis or a canoe outing. 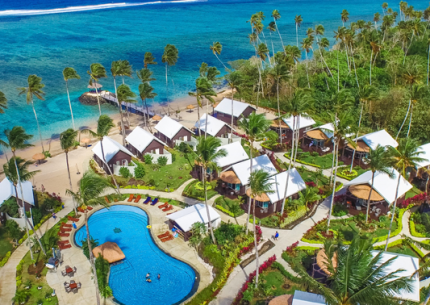 Mountain hikes and team games like volleyball or soccer are organized at your resort, as are snorkeling, basket weaving, and Fijian language lessons. After dinner, make some memories by joining other couples in hilarious after-dinner games like coconut bowling, sure to make long-lasting memories before nights of passion. While your resort provides free activities like hiking, canoeing, snorkeling, and Fijian cooking lessons, you’re invited to explore the outer limits of Fijian beauty in the tropical wonderland of Matamanoa. A short boat ride can take you to a local village to experience life on the other side of the planet, or even to the famous island where Tom Hanks befriended a volleyball named Wilson in the movie Cast Away. Guided tours will take you snorkeling, sport fishing, handline fishing, island hopping, and even to a two-level floating platform in the middle of the ocean, fully stocked with booze, music, hanging chairs, and an Italian wood-fired pizzeria. A boat ride will bring you to Port Denarau before a shuttle service back to Nadi International Airport. Fly from Nadi, Fiji to Los Angeles, California. Ask your Destination Specialist about our current specials. Fly from Los Angeles to your hometown (Not included in the starting price). 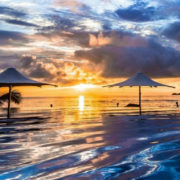 Beautiful Experiences in Samoa and Fiji – 4-Star – Great Value! Bucket List Checking Romantic Vacation. 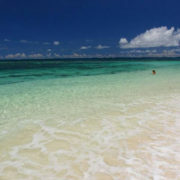 White Sand Beaches.